Two years ago, on 26 August 2011, I gave up drinking alcohol. When I mention that to people, the first thing many people assume is that I had a “problem” with alcohol. I think that shows how pervasive alcohol is in our society – that people immediately wonder why on earth you would stop doing something that is considered the norm… a social custom or convention, even. So, did I have a problem? I didn’t think so at the time. I had recently gone freelance, and so much of the routine and structure that comes with a Monday to Friday, 9 to 5 job suddenly went out of the window. One of the reasons I started working for myself was the flexibility it afforded. I wanted more time and freedom to choose what I wanted to do in life – both in work and out of it. I wanted to pursue my meditation practice, write more music and study yoga. By nature, I’m something of a workaholic, and so I immediately found myself working long hours – often into the evening – to get the business off the ground. As a result, I started to have a few beers early in the evening – essentially to stop me working. I’m a web designer/developer and it’s pretty difficult to write code after a few beers. However, it’s also pretty difficult to do any of the other things I wanted to do with my spare time after a few beers. Anyone who has tried to meditate after even one drink will find it’s impossible to cultivate any mindfulness at all. So, in that respect, I did have a problem – drinking was stopping me doing the very things I’d give up full-time work to do more of. After a few false starts, I decided to give up alcohol “forever” in August 2011. I was conscious that this was quite a momentous decision, but was pretty certain that this was a change I wanted to make. I was worried that I might freak out friends and family if I used the word “forever”, so initially I just told them that I’d given up for a month – to have a break from the booze after the Edinburgh a Festivals. I also told them this to take some of the social pressure off myself – to not have to justify my decision as a life choice, but rather talk about it as a “detox”. A month quickly became two and three months, and after a while I realised that I didn’t actually want a drink. I still don’t. So, was it difficult thing to do? Surprisingly not, although it’s strange how not doing something can sometimes feel more difficult than doing something. I know people who have alcohol dependencies that are much greater and deeply ingrained than mine ever were, for whom giving up drinking will be much more of a struggle. However, I think that with any changes in life that you want to make, if you let your subconscious work on them for long enough, your conscious mind finally gets the message and you can make big changes. Maybe not on the first, second or even the tenth attempt, but eventually. I think it’s just a case of keeping focused on the benefits. And, after all, there are so many zero alcohol beers out there these days. It’s not like the bad old days when the horrendous Kaliber was the only choice of beer for the teetotaler. 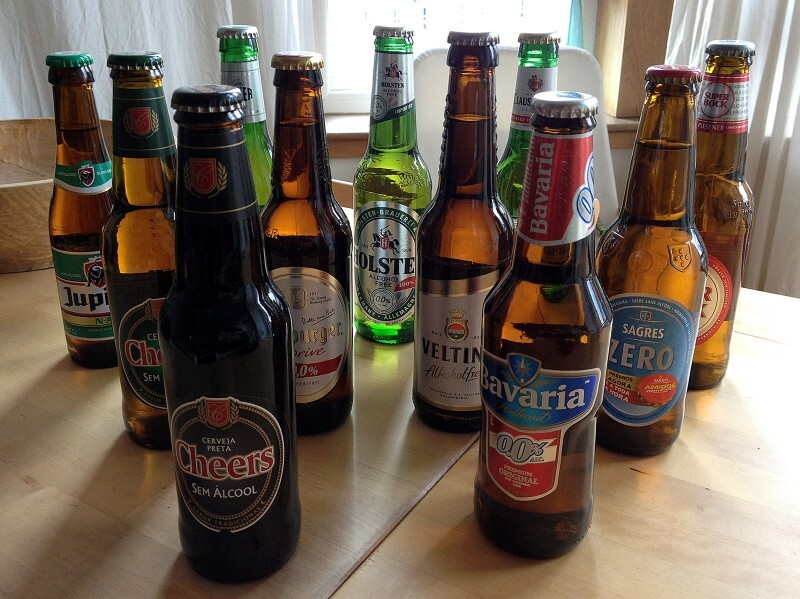 There are dozens of great tasting, alcohol free beers out there now. 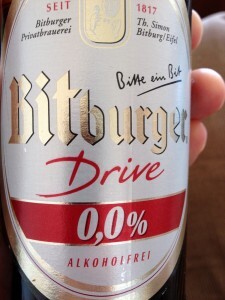 The Germans are particularly good at this kind of thing, but I guess that’s because of their zero tolerance policy on drink driving – they’re well ahead of the game. My main concern about giving up was the social pressure to drink – especially in the UK. I found that this wasn’t an issue. In particular, I really didn’t want my friends to think that my decision was in any way a judgement on them or their drinking habits – it isn’t… it was an entirely personal decision. Friends soon realised I could still go the pub with them – and often don’t even clock that I’m not drinking if I have a zero alcohol beer in my hand. And the benefits of no alcohol? Well, as you’d expect, I quickly felt much healthier and energetic – especially in the mornings. My mood has been much more consistent since I stopped drinking, and I’ve been able to take on a lot more of the challenges I set myself when I went freelance. The most rewarding part of the experiment has been losing around a pound in weight per month without dieting since I gave up drinking. Not a lot, but the calories quickly add up. I’m going to try and get around to reviewing some of the alcohol free beers in a future post. In the meantime, I’ll raise a glass of Schneider Weiss Alkoholfreies to your health.